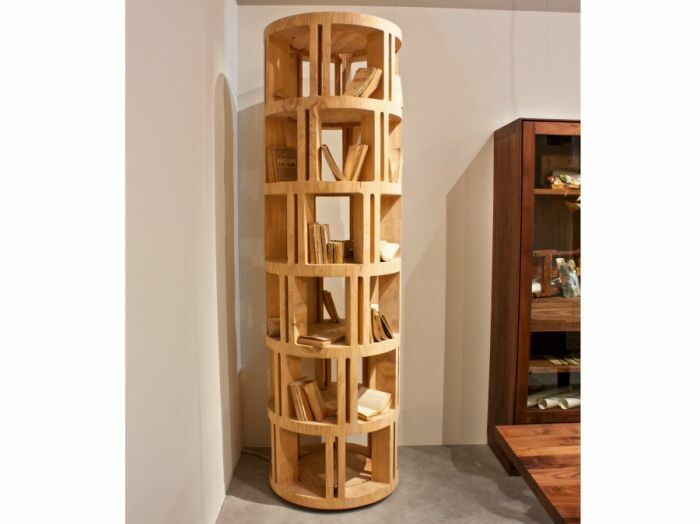 A bookcase made of solid cedarwood that is the fruit of the imagination of Michele De Lucchi with Davide Riva. 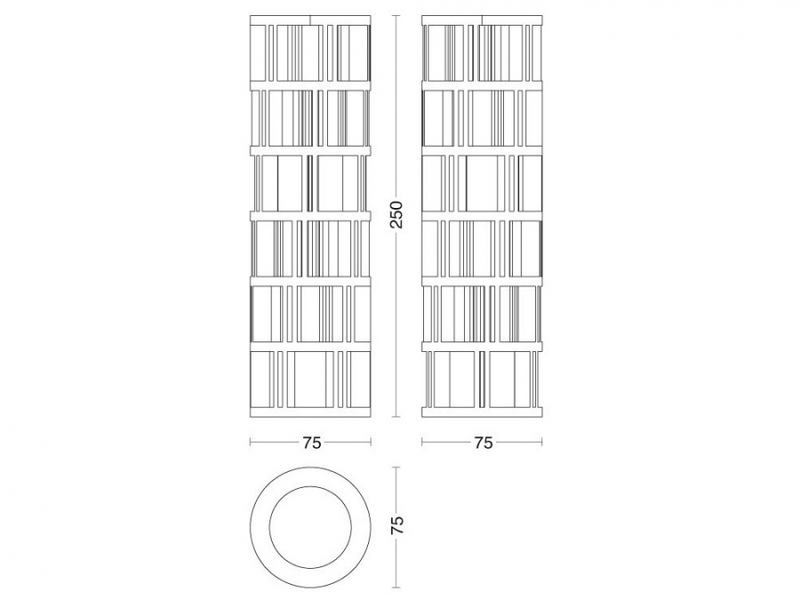 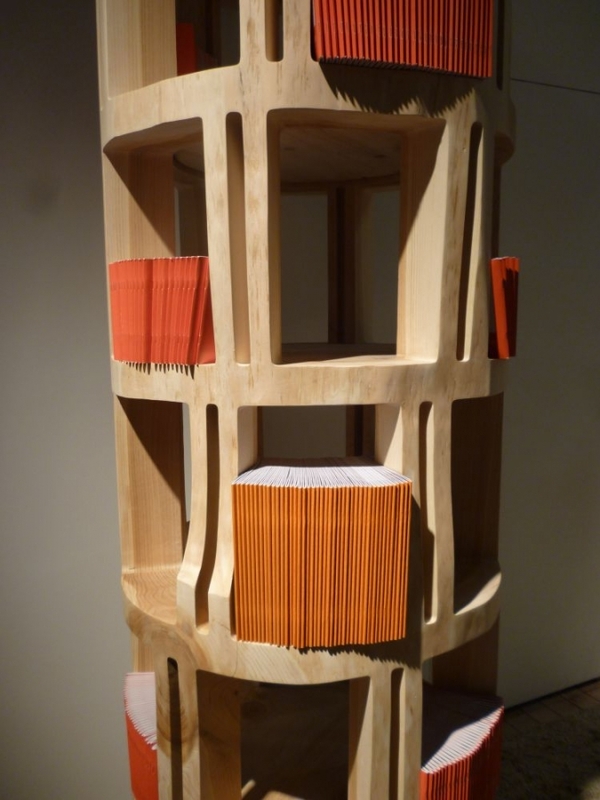 Distinguished by its many compartments and its vertical cuts that give the structure greater dynamism, Torre Lignea is more than a simple bookcase: it is a true “work of art”, always unique because it is cut with a high precision machine from a single block whose grain and size are always different. 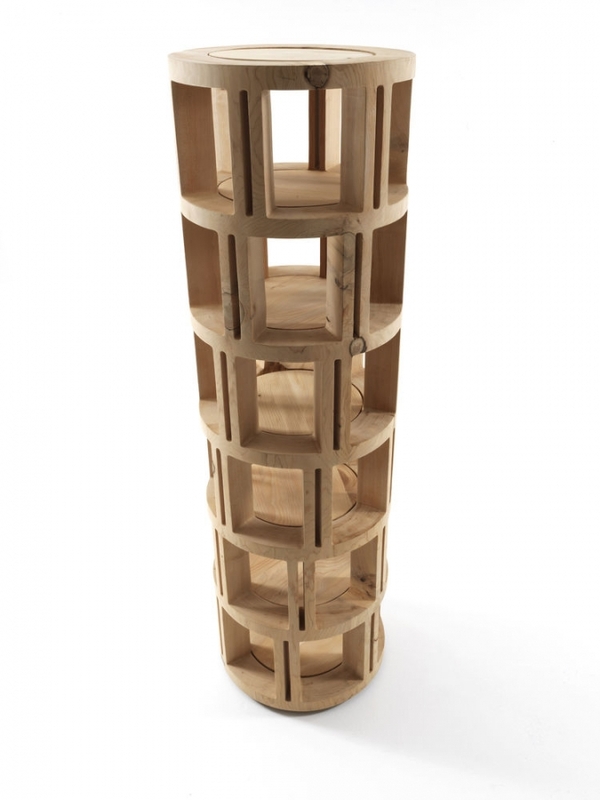 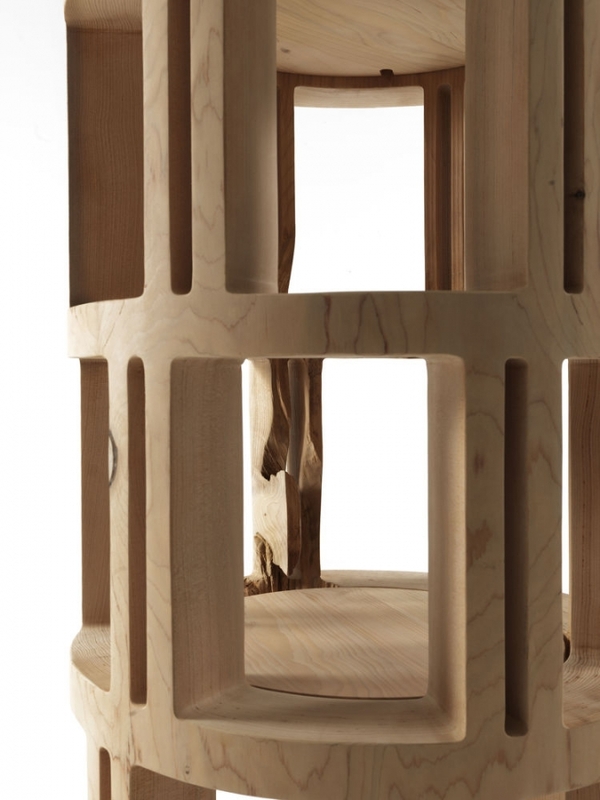 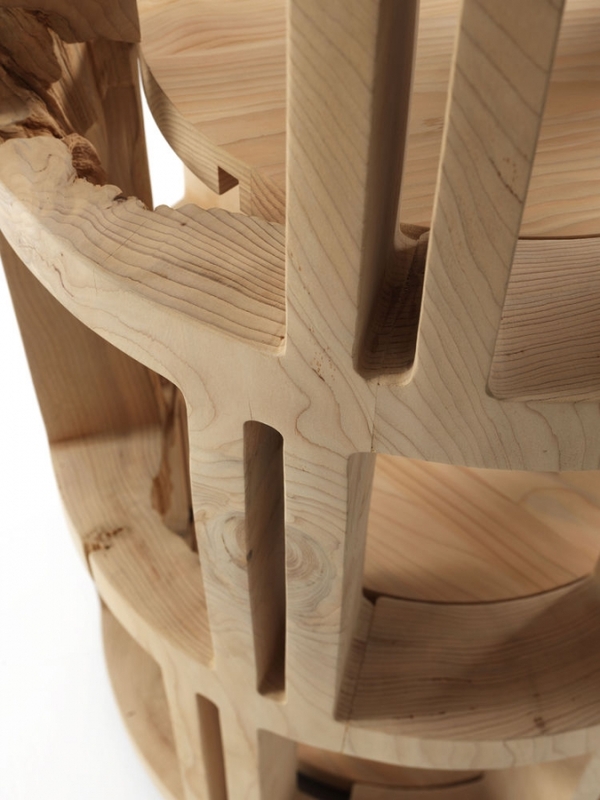 Torre Lignea is available with a revolving base and various heights.